This year, we are creating many surprising events besides our regular PhDrinks. 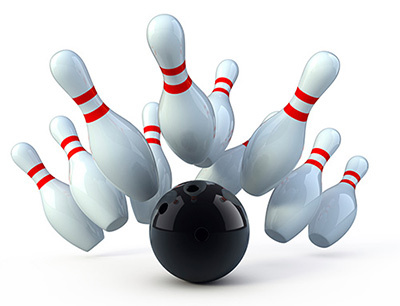 Our first social event willbe an “Afternoon of Fantastic Bowling” which is held on Friday April 17th, from 6:30 to 9:00 PM. Please feel free to invite your friends and colleagues to this event as well. The registration will be only possible via email, you will receive a confirmation email afterwards with some details about bank account information,which you should transfer money within one week to be sure that your place will be reserved. Please notice that first-come, first served since we have limited places available. If interested, please send us an e-mail via: info@leoleiden.nl with ‘Bowling’ in the subject line, hope to see most of you there! Previous PostPhD Survey on March 17!